It has been a long time since I read the first book, Pretty Dark Nothing, and I admit that I forgot a lot of the finer details. But I remembered enough to know that I truly enjoyed it, and I was hoping that enjoyment would last through book 2. And it did! Whew! Quinn, as a character, has grown in leaps and bounds. She is determined to save Aaron, who is believed to be dead, from the Underworld. She is fierce in this book, more so than the first. She is strong, and capable. Maybe a little bit reckless, but it is understandable. She doesn't care what anyone says, thinks about her, or does. Her goal is to save Aaron, and she will stop at nothing, or for no one. Aaron is another great character, and I really enjoyed his POV. He is MORE than he was in the first book, and it was interesting watching him grow as a character. 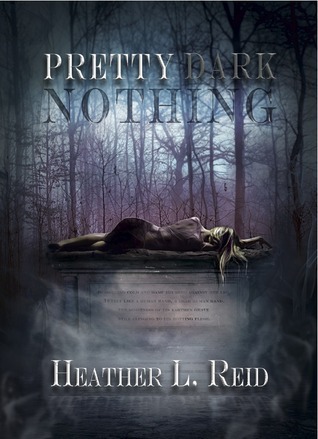 As far as characters go, from the MC's to the secondaries, Heather Reid knows how to make personalities distinct. She knows how to give us characters that we can root for, and care about, and that is one of the best things about this series, by far. 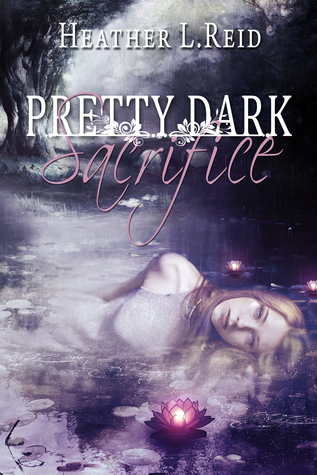 Pretty Dark Sacrifice is fast-paced, and intense, and there were certain parts of the story that had me so wrapped up and engrossed, the world around me faded. There were some slow spots, and certain things that weren't perfect, but honestly? I just didn't care! All in all, I truly enjoyed this book. I am enjoying this series! The author definitely knows how to write a great book, and I look forward to more from her in the (near!) future! Especially after another KILLER CLIFFHANGER!!! Thanks to Month9Books for letting me read an ARC of this book! I'm so excited for this one. Lovely review!